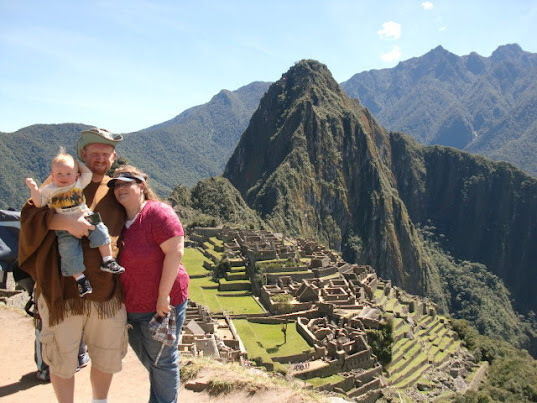 Machu Picchu Spiritual City of the Sky and Wonder of the World (5 of 7) – Traveling Epic! 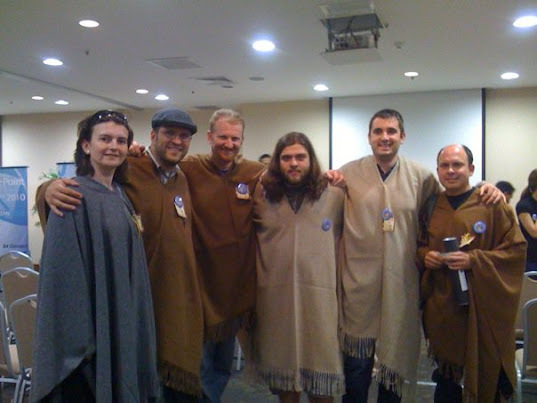 We spent a couple of days in Lima speaking at a SharePoint Conference. Jose, organized the event and helped plan out the details for us flying into Cuzco. The ponchos were his idea. They were useful both at the conference and on the trail. 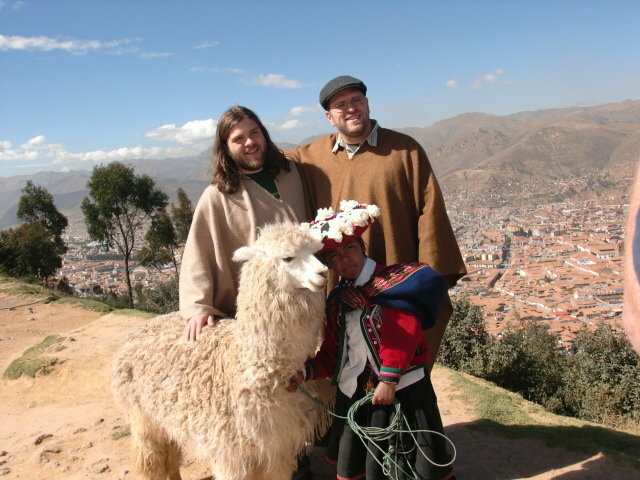 When I first landed in Cuzco, I felt high. Seriously it was the highest altitude I think I’ve ever flown into. They have oxygen for sale at the airport. They also have cacao leaves. The locals sell them in little baggies. I took a local’s word for it and began sucking on the leaves which gives you just enough to take the edge off. My wife looked at me strange, In my research the leaves are a mild sedative, and even add oxygen to your blood. I felt like the local antiseptic was a good idea, despite the fact that cocaine comes from these same leaves in a much, much, much more refined form. It is in fact illegal in the US to consume the leaves, but in the Andes, you’re blending in with the locals and taking in a natural accepted herbal remedy. 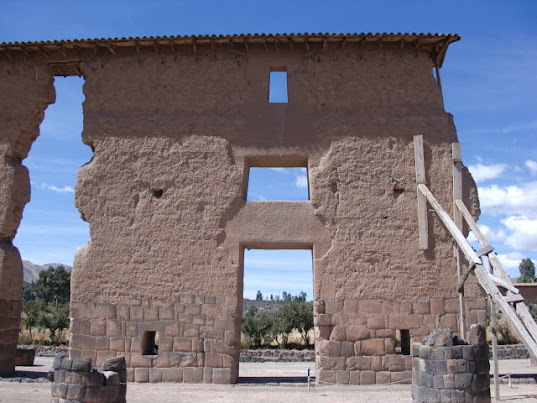 The Incan empire had a lot of infrastructure, their capital was Cusco. At their peak they were the largest empire in pre-Columbian America at somewhere between 4 million people to more than 37 million (records destroyed by Spaniards). (You can read up on the Incan empire on Wikipedia.) “At its height, the Inca Empire included Peru and Bolivia, most of what is now Ecuador, a large portion of what is today Chile north of the Maule River in central Chile.” We learned a lot about the Inca, but I still feel like there is a lot that was lost. What an amazing civilization that accomplished so much. So much of their knowledge was immediately lost. Seeing the walls where the rocks are cut so well that there is no gap 500-1000 years ago! 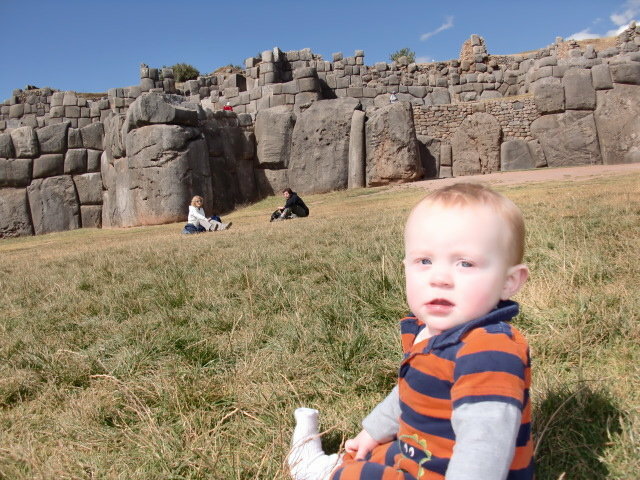 Saqsayhuaman (pronounced like saxy woman) these stones in this walled fortress weigh over 300 tons! Some of them would have been transported 50 miles. That’s with no wheeled vehicles. 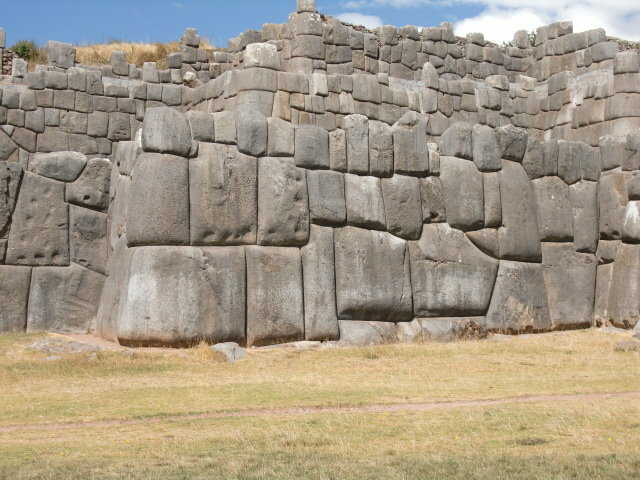 You couldn’t put a knife point in between these massive stones, and that’s with thousands of years of time, including earthquakes, trees, plants, and no mortar. How could they cut these stones so precise? Serious engineering marvel that makes you reflect on the building of the pyramids, stone henge, and great temples. The terraces here were actually good practice. Our group got a little creative. These steps blend right into the wall, so only looking close up can you see how they could climb the terraces with small stones jutting out of the wall. Machu Picchu, the UNESCO World Heritage site and one of the 7 New Wonders of the world was simply amazing. Much of Machu Picchu that is amazing it the location. It’s a breathtaking view, and so isolated it was lost to the scientific world until 1911 when Hiram Bingham from Harvard came and documented it, led by a local. For our group is it wasn’t easy to get to. 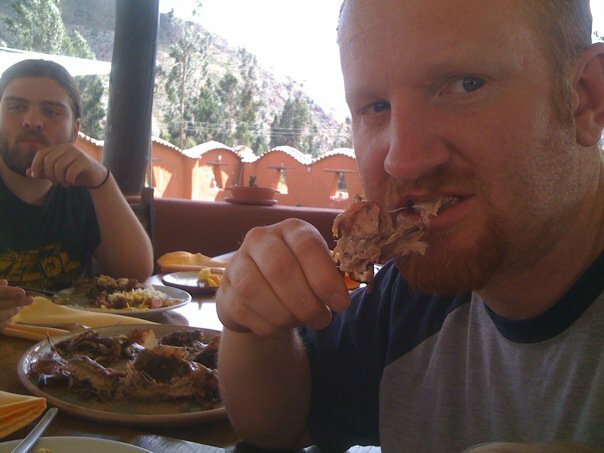 It’s a flight from Lima to Cusco, a 2-3 hr ride to the train, 2 hr ride on the train, and then a bus ride up the mountain. Once on the mountain it’s a couple mile walk. That assumes you are looking for the easiest route. I do recommend the hike up to the lost city of the Incas, Machu Picchu on the most famous hike in South America… the Inca Trail. There are multiple ways of getting there, but it’s extremely isolated, you can’t drive here. It is high up in the Andes at 2430 meters or 8,000 ft.
Sun Gate – this is where those who are hiking the Inca Trail will arrive through. This will require some back tracking, up the hill, but has amazing views and you can see the Incan trail and the crazy route the hikers take, including various little buildings along the way. Temple of the Sun – height of technology. Here you will see a special stone that has points of the compass. Temple of the Condor – this is one building you’re going to wish you had a tour guide. There’s places for offerings, amazing smooth stone carvings. Lots and lots of symbolism. Wayna Picchu – This is an additional cost, and an additional hike. Limited to 400 per day. This is another spectacular view. 200 tickets released at 7am and 200 at 10AM, these go fast! See the cave. It’s an extra 2 hours to Gran Caverne. 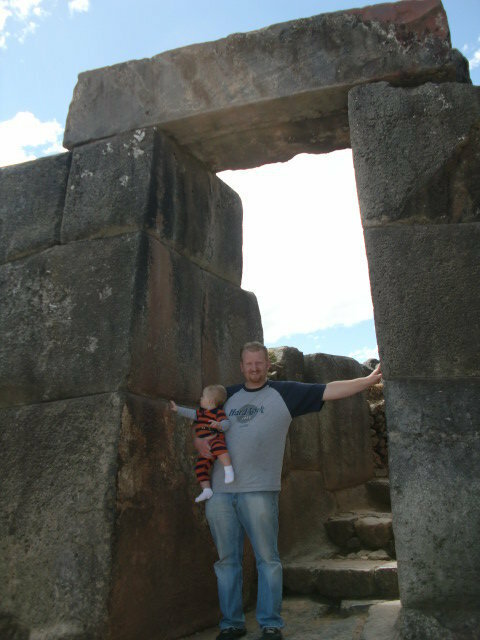 Research the history of the lost city of the Incas. The only way to Aguas Calientes where you depart for the trail up to Machu Picchu are by train or on foot–no roads go there. On foot, it is possible to get to Aguas Calientes by traveling through Santa Maria and Santa Teresa which is a couple hours of walking. 2. Walk: Arriving by train to Aguas Calientes you can walk up. It’s is 8KM or about 5 miles. It’s about 2 hours up and 1 hour down. The route is mainly stairs. Gates open at 5am. 3. Hiking the Inca Trail – There is a 2 day or 4 day hike. This is the most beautiful way to arrive and quite popular, but requires you to be fit. Book in advance as there are limited to 500 people per day. 4. There are apparently some other hike options. 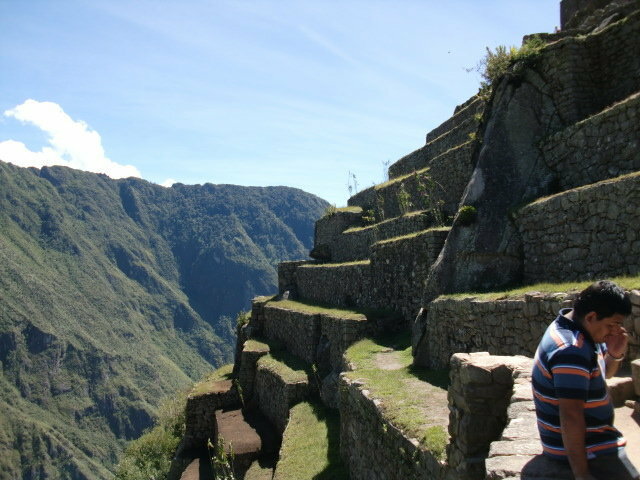 See Wikitravel Machu Pichu for more detail and other options. A lot of the group went out from there, but I wasn’t done with Peru. Our crew in front of the Cathedral in the main square in Cusco. I was anxious to see more. In my research I found a glass topped first class train from Orient Express/ Peru Rail, but it was pretty pricey. Still one of the best train rides in the world. From Cusco, I ordered TourPeru bus ride from Cusco to Puno and Lake Titicaca. We made a couple of stops in villages with little tourists, which definitely made it more fun. We enjoyed mixing it up with the locals. Lake Titicaca is the worlds highest commercially navigable body in the world. I was so fascinated by everything I had read about the Uros floating islands. The Uros are a people who trace their tribe back to Incas and before! The history we heard was that they initially built these reed islands were to float out away from the shores, and could move them further out in the lake if things got hostile. Another place to visit is the island of Taquile a thousand year old culture. They make great hats. We spent a couple of days in Puno, which had decent accommodations and a great town for exploring and shopping and just plain relaxing. My plan was to bus to Bolivia, and on actual the bus to the border I discovered the U.S. visa requirements required a set of shots, and a reciprocal fee of $180 USD. So with my wife and child on the bus, I decided it wasn’t worth the visa fees. If it was just me I would have swallowed the pain, but x3 it was a bit much. The plan was simply a day trip and a flight to Lima anyway, so we jumped off the bus with the help of a student who was doing a tourist survey. She was so great, she found us a ride back to town, and the next morning we were on a local bus to Nazca. 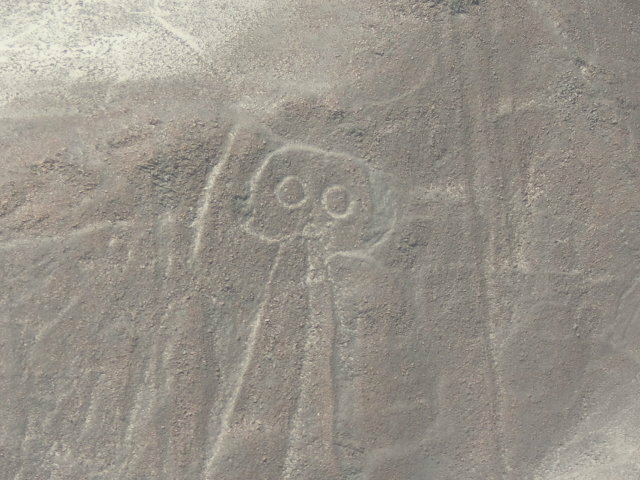 Nazca was the last planned stop on my Peru tour. That local bus ride was a mistake. We were so hot, and the rest of the bus was cold. I’d get yelled at or people would come up and close my window or complain. There was an A/C on the bus, but people were cold. Dean was a real trooper given the circumstances. We did end up eating some jell-o being sold at one of the many stops. That was a mistake. I don’t recommend eating the jell-o. That bus ride was pretty rough. An 18 hour bus ride with a 10 month old between my wife and I. We arrived in Nazca at 2am with no reservations. We found a great hotel, and booked our flight above Nazca to see the lines, and got some great sleep. We splurged after that ride, and found we could sleep in a little and get late full breakfast. 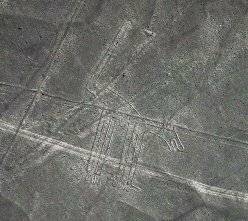 If you don’t know much about Nazca, it’s an amazing message from the ancients only discovered when planes came around in 1920. It was lost to the world and etched into the desert. Ancient markings on the ground look like runways, or to send a message to the people of the skies. Were they built by or for ancient aliens? Why make etchings of monkeys, dogs, whales, spiders, and birds. Literally dozens of HUGE, mile long rocks lined up in the desert having lasted over a thousand years. If you’ve got more time in Nazca, you should check out the spiral wells, and the desert museums where they have mummies and more information on what happened to the people. I recommend Cemetery of Chauchilla – only archeological site in Peru in which ancient mummies are seen in their original graves, along with ancient artifacts, dating back to 1000 AD. After Nazca I decided I wanted to do a little more research on the bus. The Tour bus from Cuzco to Puno was great, but the local buses left much to be desired. I found an amazing deal to Lima on Cruz del Sur, for not much more we rode in style complete with wifi, GPS remote tracking, DVD movies, personal AC controls, nice thick reclining seats, double decker. I think it was the best bus I’ve ever seen. In or out of the US. Very impressed. I don’t always have to have this, but I think you understand why it was good timing. What a great trip. I’d recommend Peru to my friends and really anyone. What a magical place. The people were very kind, and while we didn’t speak much Spanish, we got along, and if we needed to we could usually find someone who spoke English well enough. In each of the places we went, I felt very lucky to see what I would consider bucket list items. These places were treasures. The best of what humanity has to offer. Machu Picchu is amazing from a natural perspective and the contrast between amazing topical height to the coast in Lima or vast desert of Nazca where a stone is unmoved after thousands of years and Uros floating islands of Titicaca with their own culture and language. Truly must see!